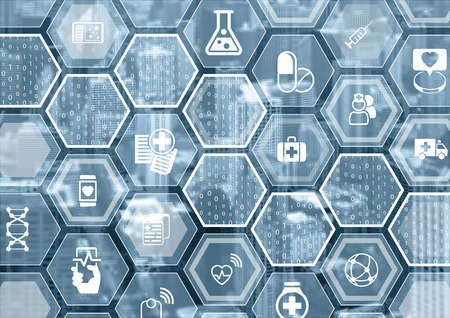 IoT security is absolutely important for any serious healthcare institution. Why? Because the technology of the Internet of Things is too medically helpful to be ignored. Trends surrounding this innovation will only continue to increase as time passes. This means patients will enjoy better procedures and other tangential advantages, but those who facilitate such tech will see even greater advantages. IoT technology is a multi-billion-dollar industry that is only expanding as time goes by, and providing it is profitable. Consider the pacemaker. Through IoT, common trends and patterns can be detected which can help both doctors and patients determine proper levels of healthy physical activity. This can make using such a device much less hazardous and much more comfortable than it had previously been. Simple IoT innovation like this upgrading existing tech can be a game changer. Also, pacemakers are older technology. Smart watches, fit bits, smartphones, smart cars— the list goes on— such devices can be keyed into medical parameters such that users are able to spend their day-to-day lives under the knowledge that whatever happens, medical professionals are receiving steady information and will be alerted should an issue arise. Especially for elderly individuals who have amassed some capital over time, this can be a key to independence. For example, if you’re in a hospital with a tablet of some variety, multi-factor authentication would look something like this: you’d tap on a program you’d like to access and the program would send a text message with a passcode to your mobile device. You would then enter that into the text-box acting as security for the program in question. There are different methods of multi-factor authentication, whichever best fits the healthcare provider you’re looking to sell IoT services to will likely be recommendable here. Finding means to continuously monitor operations can help businesses notice anomalous activity that wouldn’t be detectable through other means. Such activity often indicates cybercriminal elements at play. If you’ve got proactive monitoring, you can prevent these elements from compromising operations. This is pretty self-explanatory: data needs to be encrypted when sent from one device to another, over email, or between networks. Proper encryption and decryption techniques can make selling IoT much easier. There are various means of protecting systems from intruders. Antivirus software can be integral here, though it has to be regularly renewed as fresh viruses are continuously making the rounds. There are quite a few automated intrusion prevention solutions available. Find client preferences and design IoT intrusion prevention measures that match those preferences. Updates don’t just include new versions of old software. They also include new safety protection measures like patches. One of the most dramatic examples demonstrating the integral nature of updates comes from the WannaCry ransomware attack of May 2017. Basically, an NSA backdoor was made known to hackers, and within two months, they designed a worm which compromised over 150 countries. Those with patches did not experience losses; those without patches did. When it comes to healthcare, clients can’t afford to have their systems held for ransom. Someone might die as a result. This means many businesses in medicine immediately pay ransom attackers, losing them tens of thousands of dollars. Ensure your IoT solutions are secure enough to save healthcare clients such expenses. One final thing to consider when it comes to IoT security is time. Getting everything a client may require upgraded instantaneously is difficult. These things can take months or even years depending on the medical institution. The best strategy will be to start a security overhaul immediately. The faster everything’s secured, the more you’ll be able to provide additional protective measures as they become necessary.